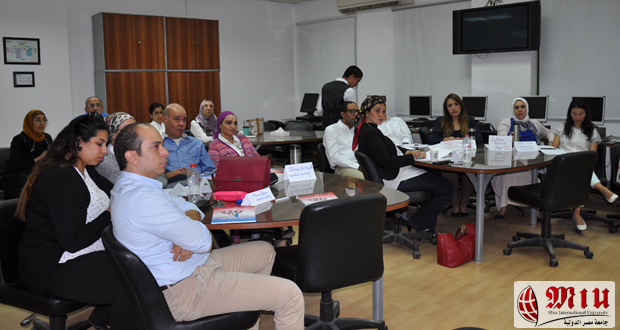 The MIU Community Service and Environmental Affairs Sector organized a staff development workshop on Sunday the 13th of May, 2018 entitled “Research Ethics Principles and Applications”. 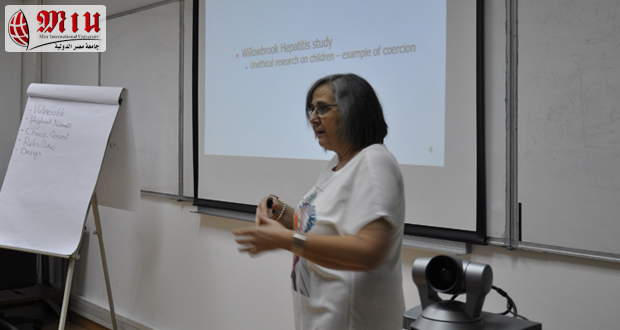 It was conducted by Dr. Isabelle Nakhla, Research Scientist, NAMRU-3 and consultant of MIU-IRB Committee. 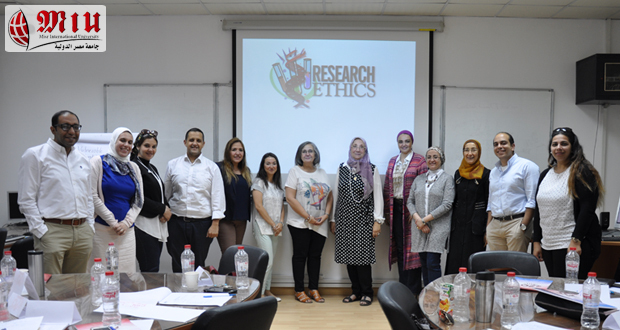 The aim of the workshop was to train potential new IRB members to comprehend the history of research ethics and the origin of the international regulations, understand the principles of research ethics and their applications, including informed consent process, confidentiality and risks and benefits of research. Additionally, the workshop shed light on the composition, roles and procedures of an IRB, and how to review a protocol for ethical considerations. 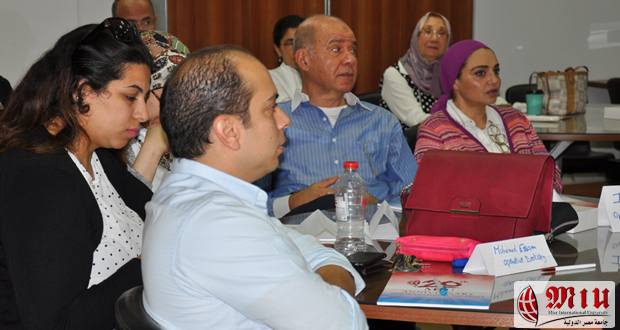 The attendees were teaching assistants and faculty members from Faculty of Oral and Dental Medicine as well as Faculty of Pharmacy. The instructor was rated excellent by 90% and Very Good by 10% of the attendees. The workshop was rated excellent by (50%) of the participants, very good by 40% and good by 10%. The attendees’ recommendations included introducing the workshop to all staff members and having other workshops emphasizing the ethical guidelines in animal and human research.